The Arab exodus from Israel in 1948 was the direct result of a genocidal war declared against the newly established Jewish state by all of its Arab neighbors, including the Arabs of Israel. Approximately 700,000 local Arabs were displaced. Approximately the same number of Jews were displaced from their Arab homelands during this period. Nearly all of them could trace their heritage back thousands of years, well before the Muslims and Arabs became the dominant population. The most significant difference is between how Israel dealt with the Jews who were displaced and how the Arab and Muslim world dealt with the Palestinians who had been displaced by a war they started. Israel integrated its brothers and sisters from the Arab and Muslim world. The Arab world put its Palestinian brothers and sisters in refugee camps, treating them as political pawns — and festering sores — in its persistent war against the Jewish state. The time has come – indeed it is long overdue – for the world to stop treating these Palestinians as refugees. That status ended decades ago. The Jews who came to Israel from Morocco many years ago are no longer refugees. Neither are the relatives of the Palestinians who have lived outside of Israel for nearly three quarters of a century. Today, Morocco's Jewish population is less than 5,000, as contrasted with 250,000 at its peak. To his credit, King Mohammad VI has made a point of preserving the Jewish heritage of Morocco, especially its cemeteries. He has better relations with Israel than other Muslim countries but still does not recognize Israel and have diplomatic relations with the nation state of the Jewish People. It is a work in progress. His relationship with his small Jewish community, most of whom are avid Zionists, is excellent. Many Moroccans realize that they lost a lot when the Jews of Morocco left. Some Israelis of Moroccan origin, maintain close relations with their Moroccan heritage. The Jews who came to Israel from Morocco many years ago are no longer refugees. Nor are the Palestinians. Photo: Wikimedia Commons. How does this all relate to the Palestinian claim of a right to return to their homes in what is now Israel? Quite directly. The Arab exodus from Israel in 1948 was the direct result of a genocidal war declared against the newly established Jewish state by all of its Arab neighbors, including the Arabs of Israel. If they had accepted the UN peace plan — two states for two people — there would be no Palestinian refugees. In the course of Israel's fierce battle for its survival — a battle in which it lost one percent of its population, including many Holocaust survivors and civilians — approximately 700,000 local Arabs were displaced. Many left voluntarily, having been promised a glorious return after the inevitable Arab victory. Others were forced out. Some of these Arabs could trace their homes in what became Israel hundreds of years back. Others were relatively recent arrivals from Arab countries such as Syria, Egypt, and Jordan. It has now been 70 years since this exchange of populations occurred. 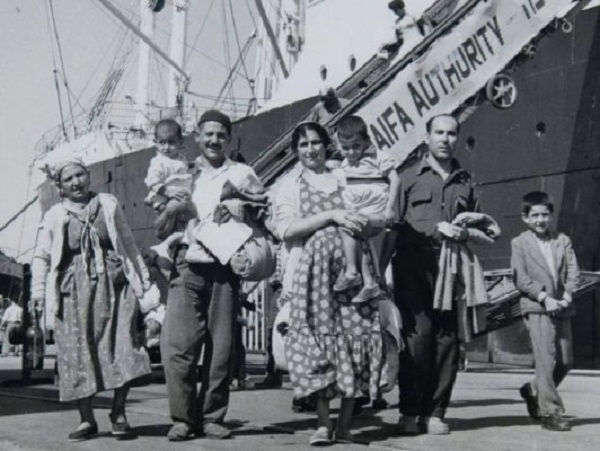 It is time to end the deadly charade of calling the displaced Palestinians “refugees.” Almost none of the nearly five million Arabs who now seek to claim the mantle of “Palestinian refugee” was ever actually in Israel. They are the descendants — some quite distant — of those who were actually displaced in 1948. The number of surviving Arabs who were personally forced out of Israel by the war started by their brethren is probably no more a few thousand, probably less. Perhaps they should be compensated, but not by Israel. The compensation should come from Arab countries that illegally seized the assets of their erstwhile Jewish residents whom they forced to leave. These few thousand Palestinians have no greater moral, historic or legal claim than the surviving Jewish individuals who were displaced during the same time period seven decades ago.